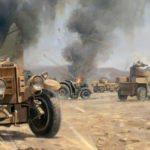 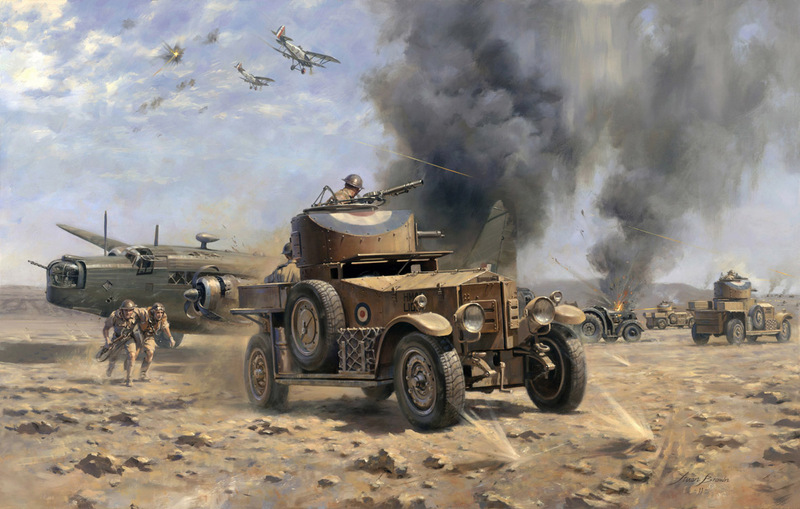 Under effective fire from an Iraqi brigade of some 9,000 men on the plateau overlooking the besieged RAF station at Habbaniya, three Rolls-Royce armoured cars of No 1 Armoured Car Company RAF, HMACs ‘LION’, ‘ADDER’ and ‘ASTRA’, recover the ground crew and pilot of a stricken Wellington Mk. 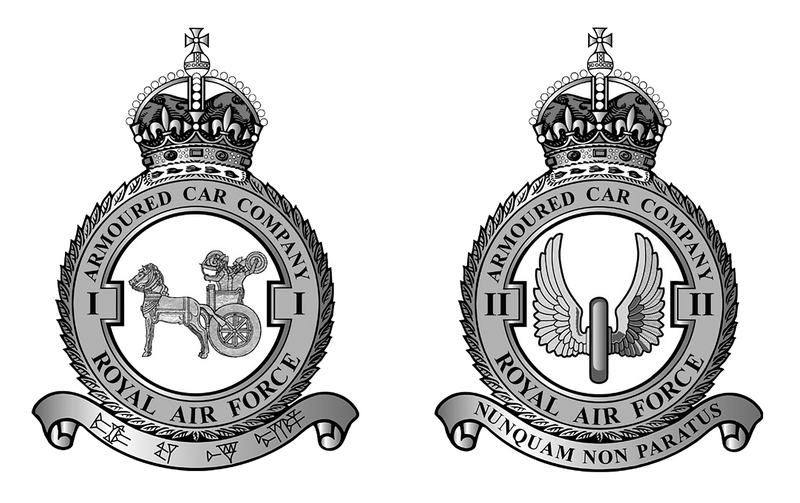 IC of No 70 Squadron RAF. 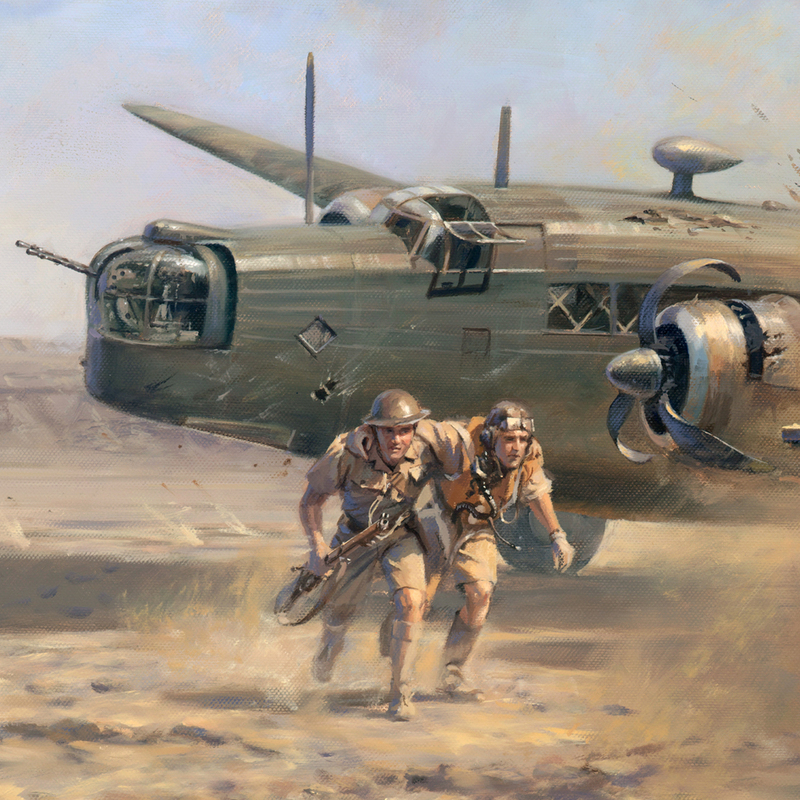 The Wellington had forced-landed after being hit by anti-aircraft fire while on a bombing run over the Iraqi positions. 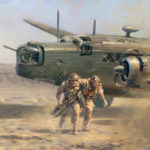 The recovery of the Wellington, which was carrying a full bomb load, had to be abandoned when the aircraft and tractor were hit by artillery and machine-gun fire. 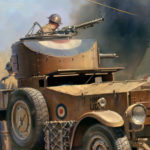 Reinforced by a further six Rolls-Royce armoured cars, the Company then repelled an incursion by a dozen armoured cars of the Iraqi Army which were attempting to infiltrate across the half mile interval between the plateau and the airfield. 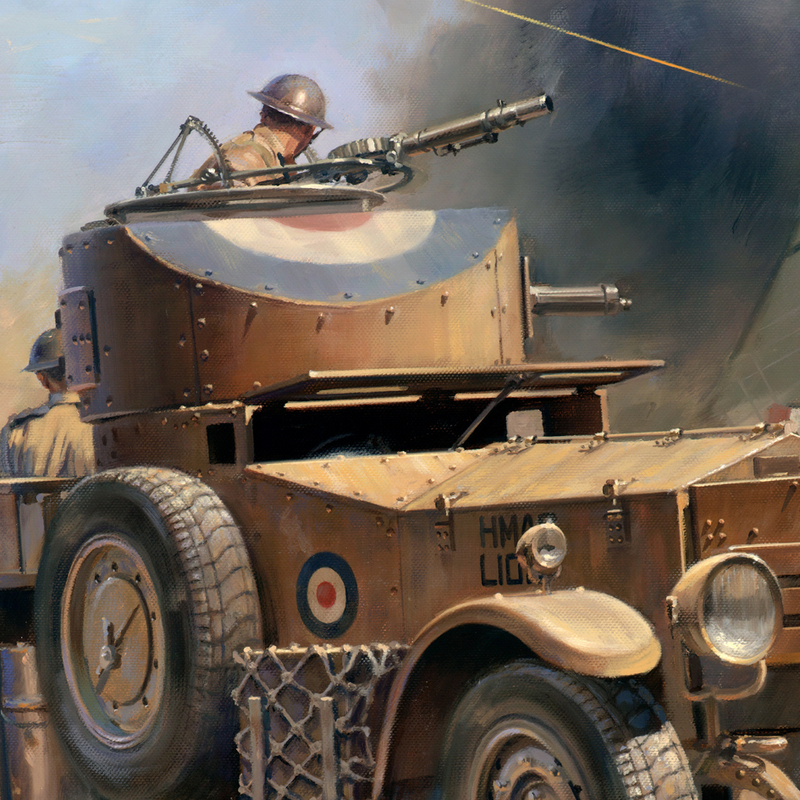 In concert with their comrades in the air, the steadiness under fire, dash and disregard for danger in the attack shown by the ground force, of which No 1 Armoured Car Company was a key element, ultimately led to the defeat of a vastly superior enemy force.